Frankfurt School Blog | When Do Victims of Non-Financial Fraud Lose More? When Do Victims of Non-Financial Fraud Lose More? 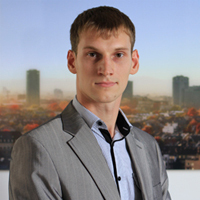 Yury Timofeev has been a PhD student at Frankfurt School of Finance & Management since September 2012. His current research focuses on occupational fraud and unethical behaviour. We apply a rich data set from the Association of Certified Fraud Examiners (ACFE) to analyze determinants of non-financial occupational fraud. While the previous literature has mainly restricted attention to either individual or organizational factors, our data set allows us to combine both perspectives. At the individual level, we derive new insights on the impact of behavioral warning signs on loss sizes. Performing a principal component analysis yields 6 components for behavioral warning signs, capturing the main perpetrator’s situation at the private level and at work. In line with our theoretical hypotheses, authority conflicts at work lead to higher losses, but other warning signs addressing e.g. a history of other-employment-related problems tend to decrease losses. Our results allow for recommendations on how the knowledge on the individual situation and behavior of key-employees can be used to allocate the scarce resources of auditors and controllers more efficiently. At the organizational level, we find that all principal components for internal and external anti-fraud control mechanisms lead to significant reductions in the losses from occupational fraud. Summary of the paper “When Do Victims of Non-Financial Fraud Lose More?”(co-authored with Eberhard Feess) presented by me (and not published yet) at the Institute for Fraud Prevention in Washington, DC on June 11, 2015. Learn more about the PhD Accounting Concentration.